✔ suitable for laptops, sound systems, cooking equipment, cool box, etc. 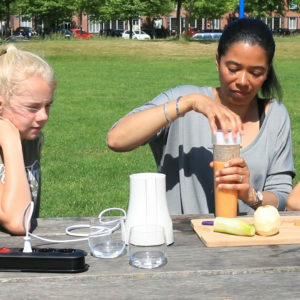 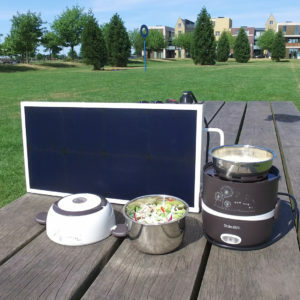 Direct solar energy from a power outlet. 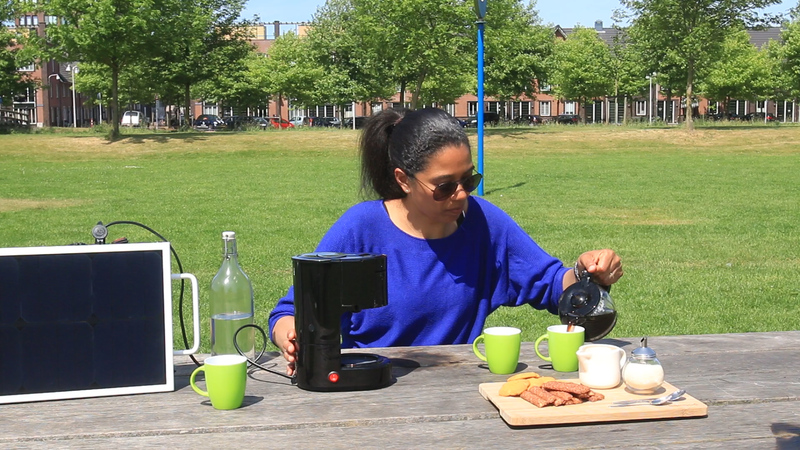 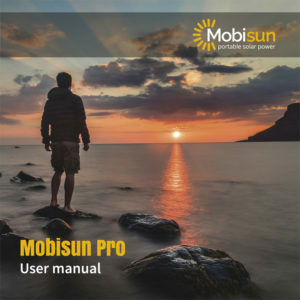 It is now possible via the Mobisun Pro portable solar panel. 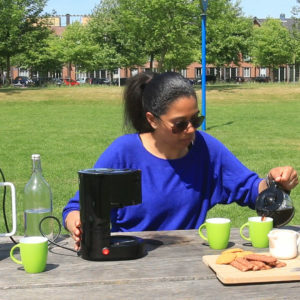 The battery solar panel weighs 6 kg and is able to power devices up to 250W such as laptops, coolers, but also complete sound systems. 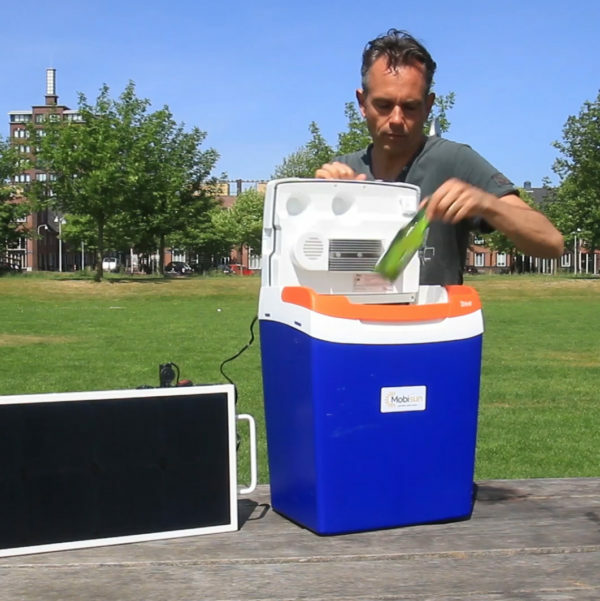 The solar panel can also charge other battery systems such as batteries from drills, lawn mowers and electric bicycles. The mobile solar panel is equipped with LiFePO4 battery technology (256 Wh) that lasts for about 10 years. 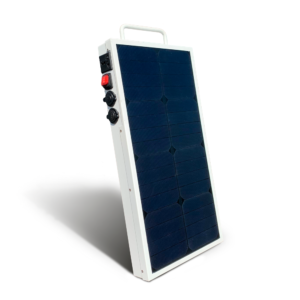 The integrated battery of the 25W solar panel can be fully charged in approx. 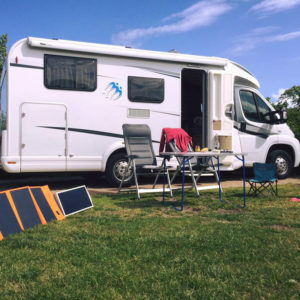 16 hours of sunshine. 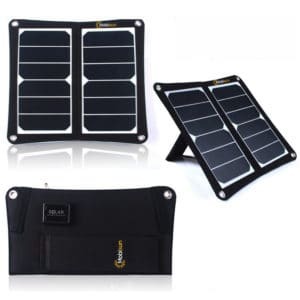 The solar panel is splash-proof and, in addition to an outlet, also has a 12V car plug output and two USB outputs. 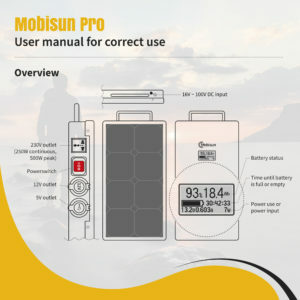 In addition, the solar panel can be charged with other Mobisun solar panels via a separate 16V ~ 100V DC input, so that the charging capacity can be increased. When there is no sun, the batteries of the solar panel can also be charged via the mains. The battery capacity as well as the incoming and outgoing current can be read continuously via an intelligent charge controller on the back of the solar panel. 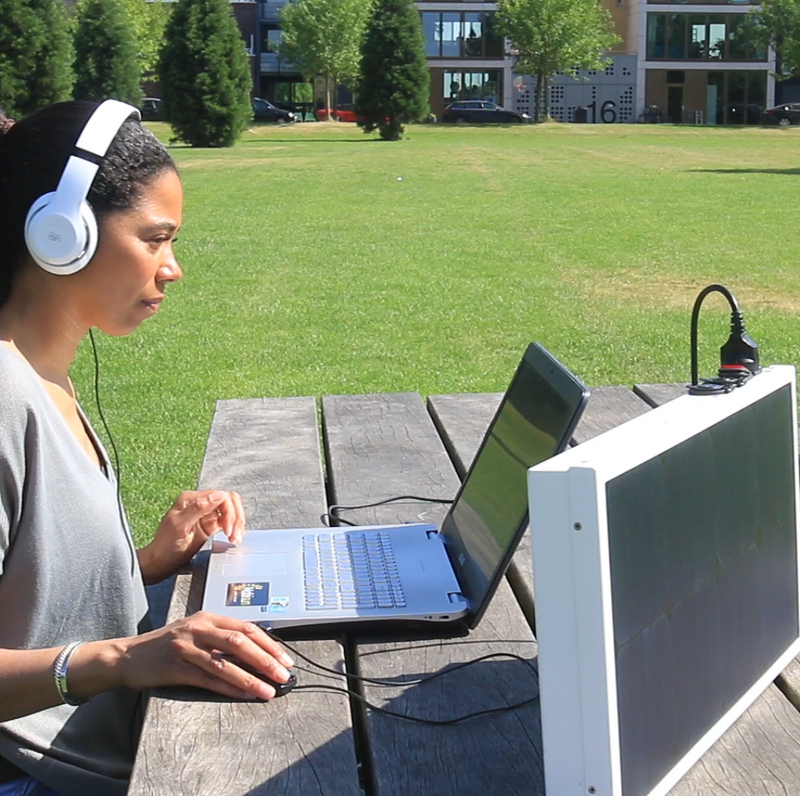 The time that is left before the solar panel is empty or fully charged is also continuously calculated. 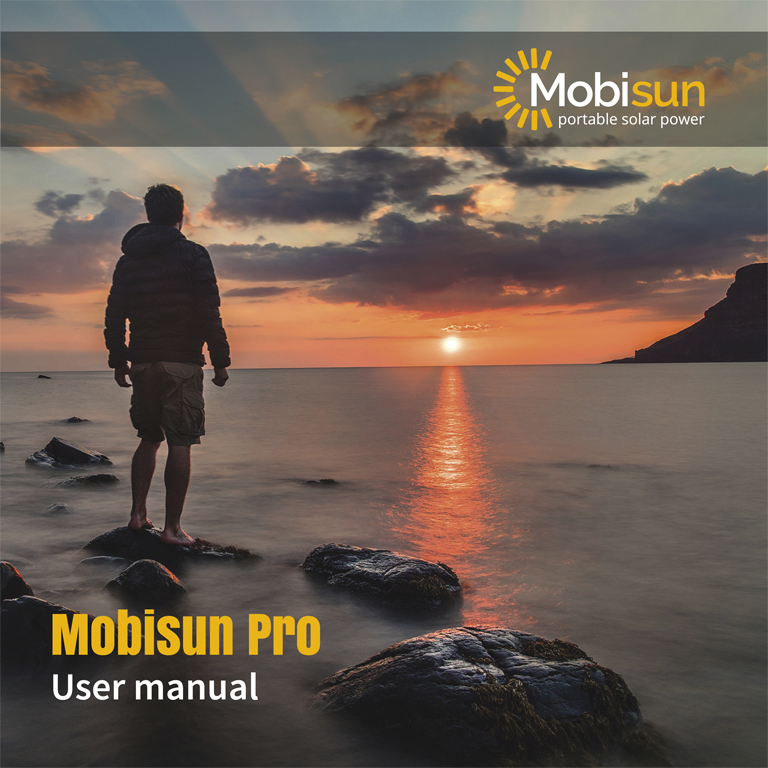 With the Mobisun Pro portable solar panel it is possible to become self-sufficient for electronic devices up to and including 250 Watt. Therefor the Mobisun Pro is also one of the best prepper and survival gear for starting to prep and add to your prepper supply. 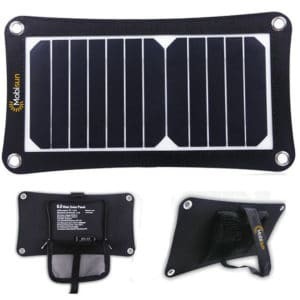 It’s extremely practical for emergencies, power outages and can e.g. be used to heat up your room or your emergency or survival food. 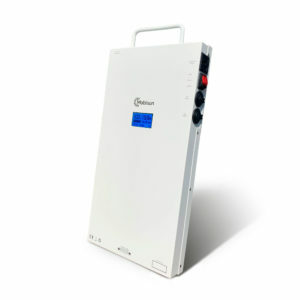 pure sine wave inverter for trouble-free connection of electrical appliances. 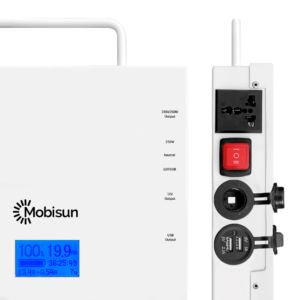 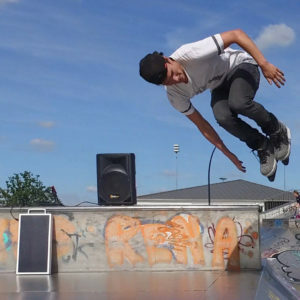 The Mobisun Pro gives the same power quality as the mains. 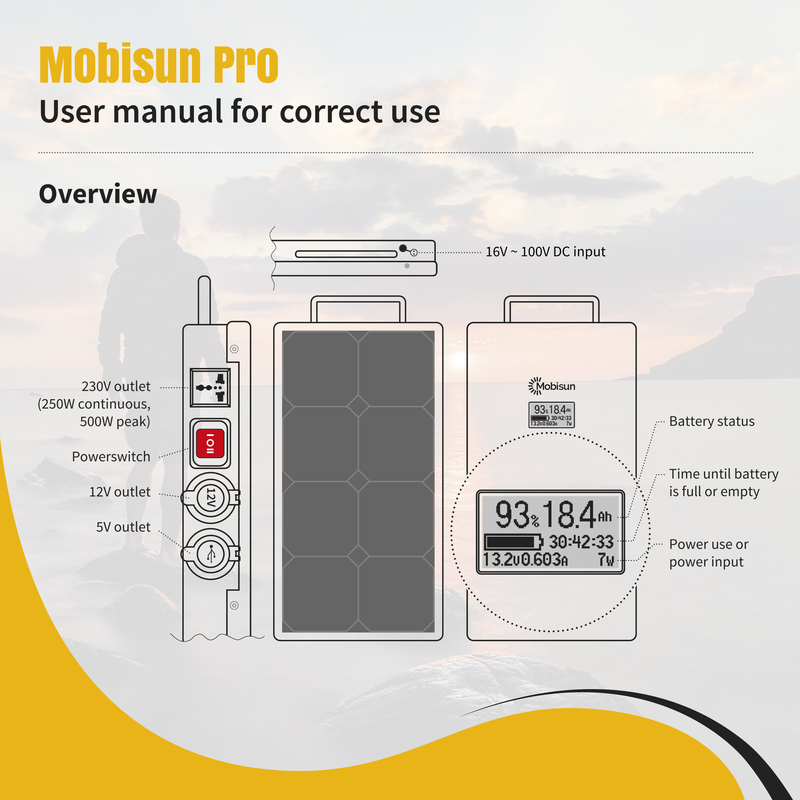 The Mobisun Pro can be charged in approx. 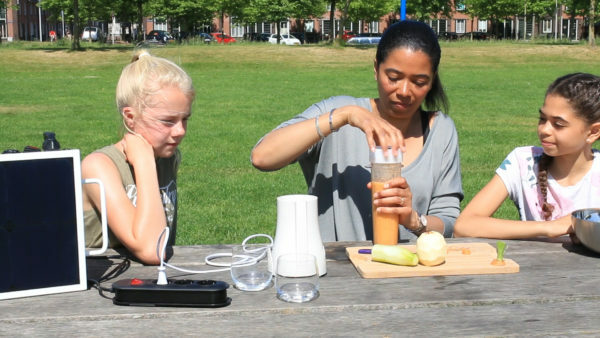 2.5 hours using the included adapter. 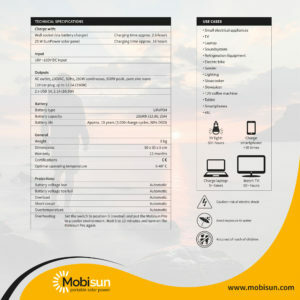 Check the specifications of your equipment to determine if it can be controlled by the Mobisun Pro. The Mobisun Pro can be charged and discharged at the same time. When the display flashes, power is added to the battery. 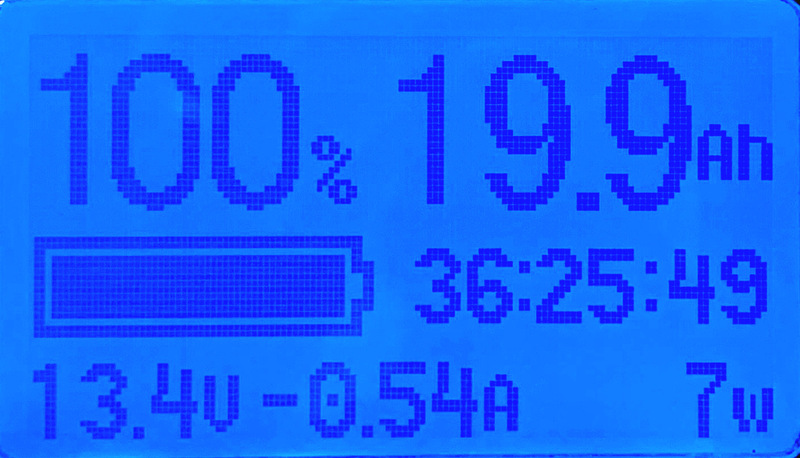 If the display remains steady blue, the battery is drained. The image above shows that the inverter consumes 7 watts. 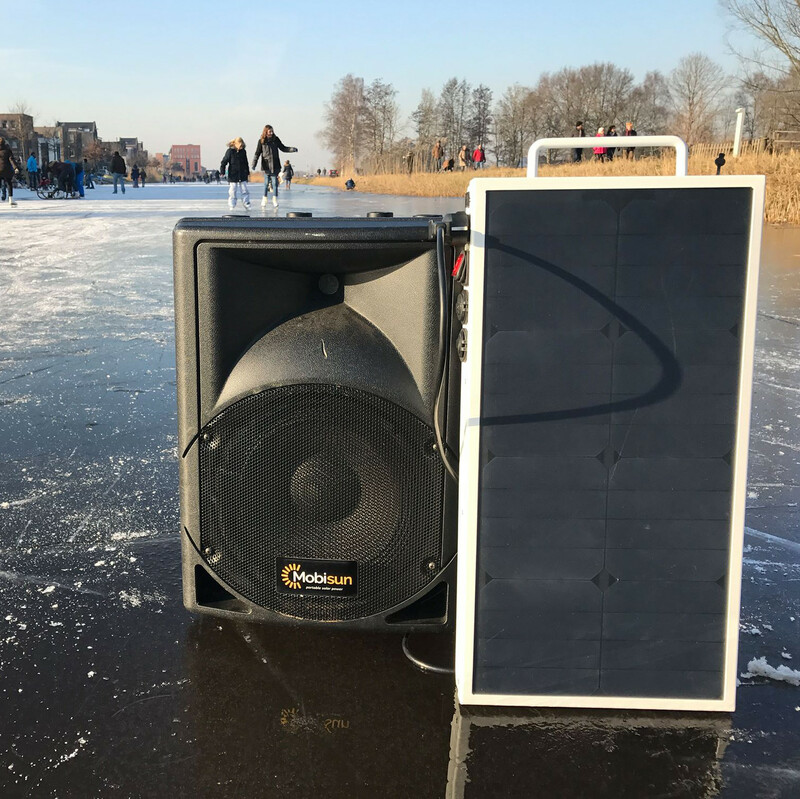 Or 0.54 ampere at 13.4 volts. 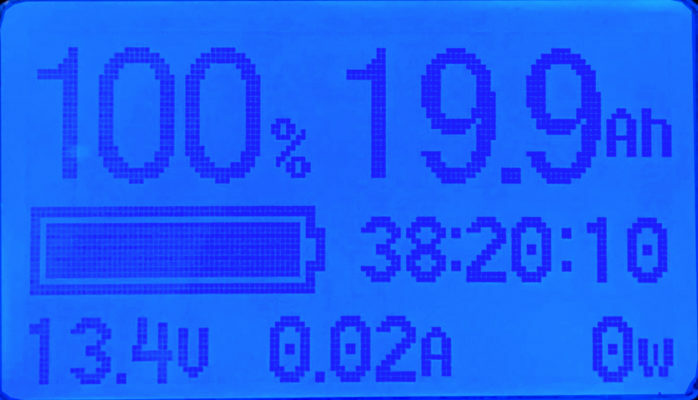 The battery is 100% charged. This can also be seen from the voltage of the battery. At 13.4 volts the battery is full. 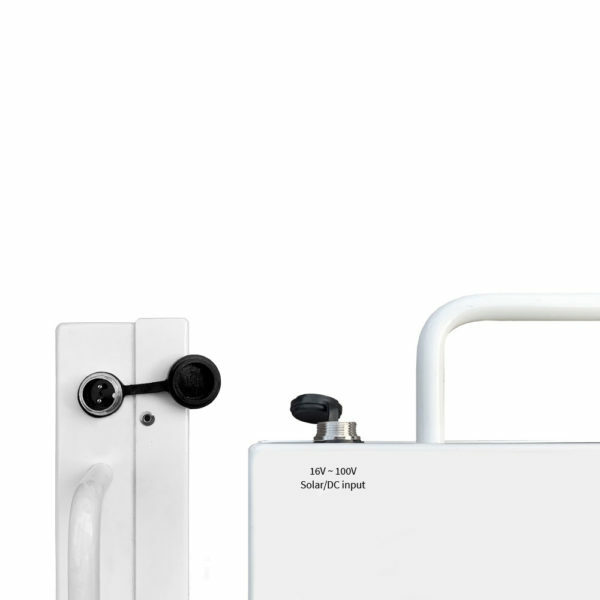 The energy content of the battery is 19.9 ampere hours. 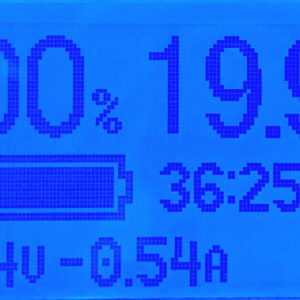 The display also shows that with a consumption of 7 watts it takes 36 hours and 25 minutes before the battery runs out of power. 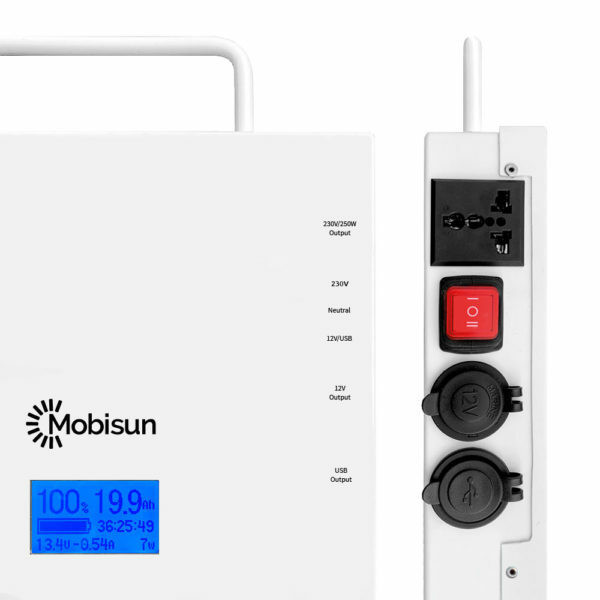 The above image of the display shows that the Mobisun Pro is in the zero position and no power is being consumed (0 Watt). The display itself consumes 0.02 A. 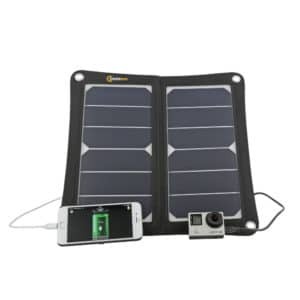 This will cause the battery to run out after 1000 hours (= the standby time). 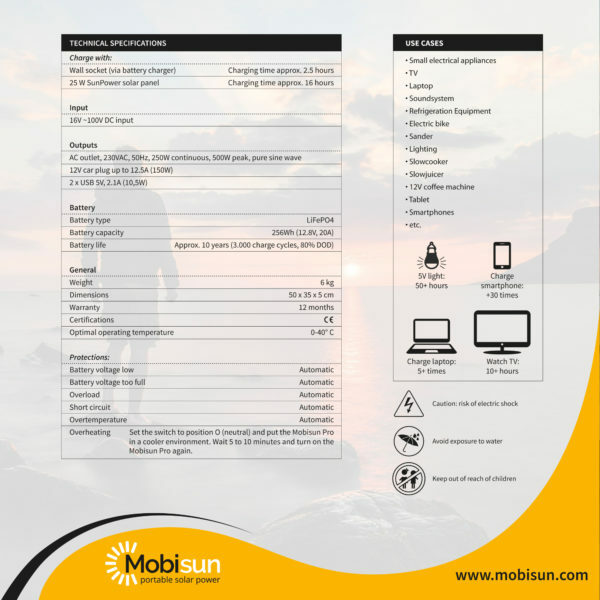 The power consumption of the display is so low that it is not included in the charge percentage of the battery. As a result, it may happen that the charge percentage is still at 100% over time, while the battery is actually less full. However, the correct status of the battery can always be seen from the voltage. When the voltage of the battery at rest is at 13.4 volts, the battery is 100% full. 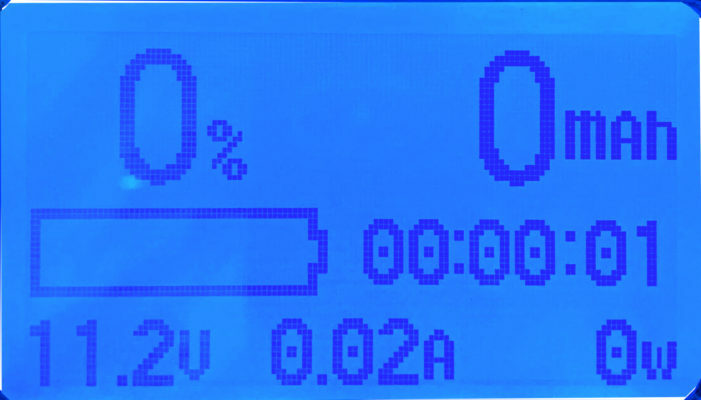 When the voltage of the battery at rest is at 11.2 volts, the battery is empty. 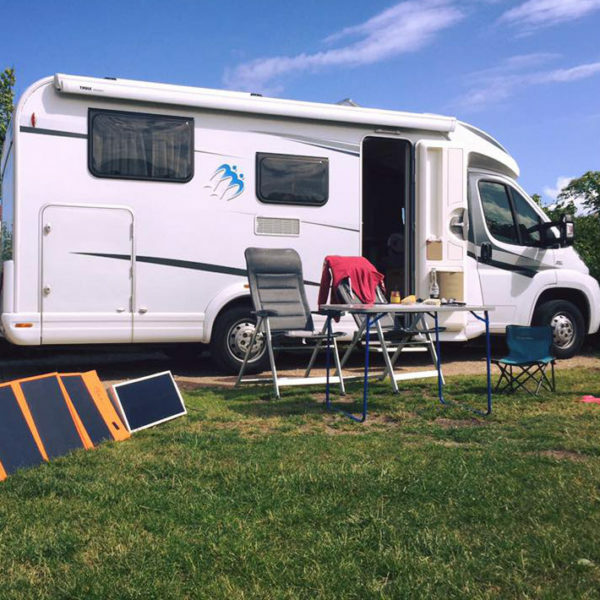 When the voltage of the battery at rest is at 12.3 volts, the battery is approx. 50% full. 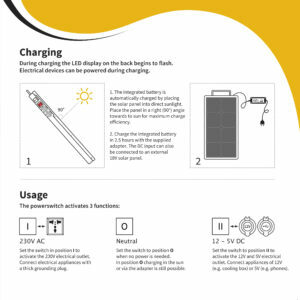 The battery is fully charged when 0 Watt is charged via the power adapter (see bottom right of the display). 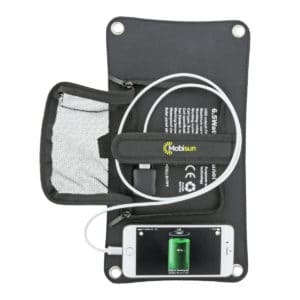 With a fully charged battery (100% charge percentage and 13.4V voltage with a battery at rest), the charge percentage is recalibrated.